From Iles des Saintes we sailed across to Guadeloupe and up the leeward coast. There was enough wind when crossing the channel but once in the lee of the island we entered the wind shadow caused by the high mountains. By staying close to the coast, within "two pistol shots" (about 50 yards), there is usually some wind. This worked for a short time, until we were passing Basse-Terre, the capital of Guadeloupe (also the name of the western part of the island, which is actually two islands joined by an isthmus). 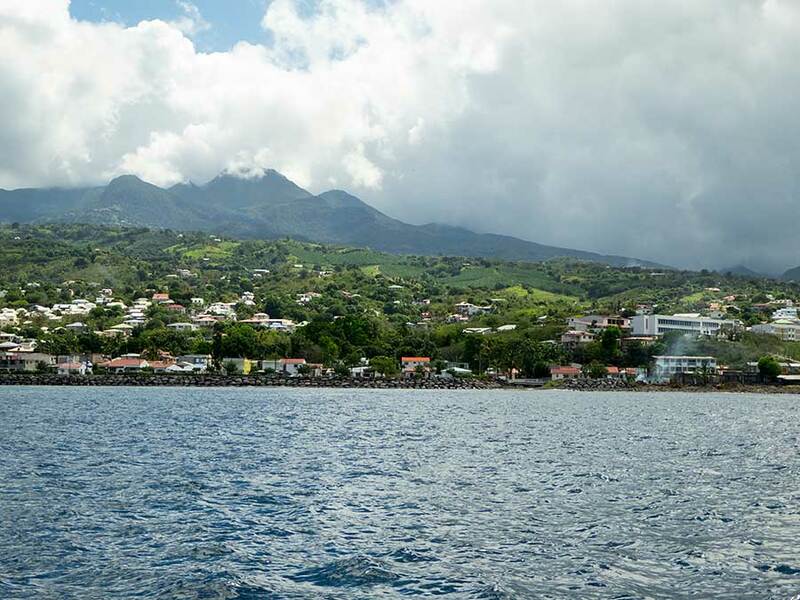 From then on the wind was very fickle so we motored, arriving at the fishing village of Deshaies in the early afternoon. 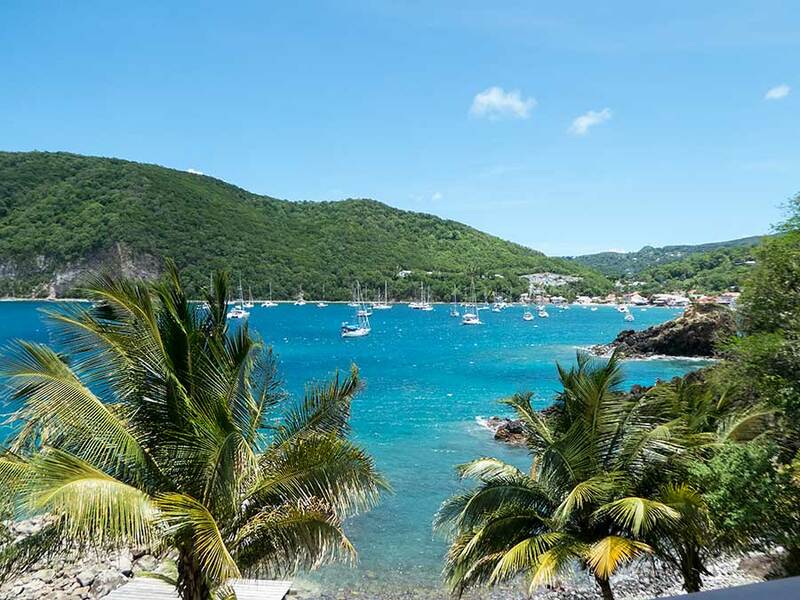 The bay at Deshaies is a popular anchorage but we found a space next to another British yacht called Nautilus. The owners, Ian and Steph, came to say hello. They told us about a lady who comes around the anchorage at 7.30 every morning delivering bread and croissants so we made a special effort to be up early the next day. Sure enough, Lydie does the rounds and not only delivers bread but does laundry, provides tourist information, arranges car hire and more if you need it. She soon had us organised, including supplying a local map and suggesting things to do. Deshaies still has a sizeable fishing fleet but much of the activity in the village is tourist-related with numerous bars, restaurants and souvenir shops. Although in some ways the way of life seems very like places on the coast of France, in other ways - the local cuisine in particular - it is different. The imported food and wine available in the supermarkets doesn't feature much on ordinary restaurant menus. Most affordable restaurants serve local produce, albeit with a certain French flair. Guadeloupe has an extensive road network and is much more developed than any of the other islands we've visited, apart from Trinidad. 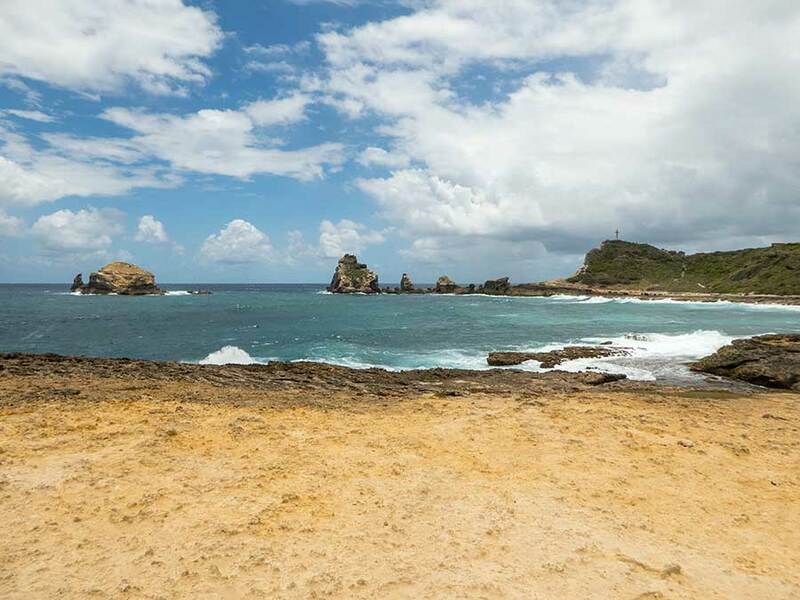 We rented a car and drove across Basse-Terre to the centre, where lies the commercial hub of the island, Pointe-a-Pitre. It's like a provincial French city with six lane highways, complex interchanges, shopping malls and industrial estates. 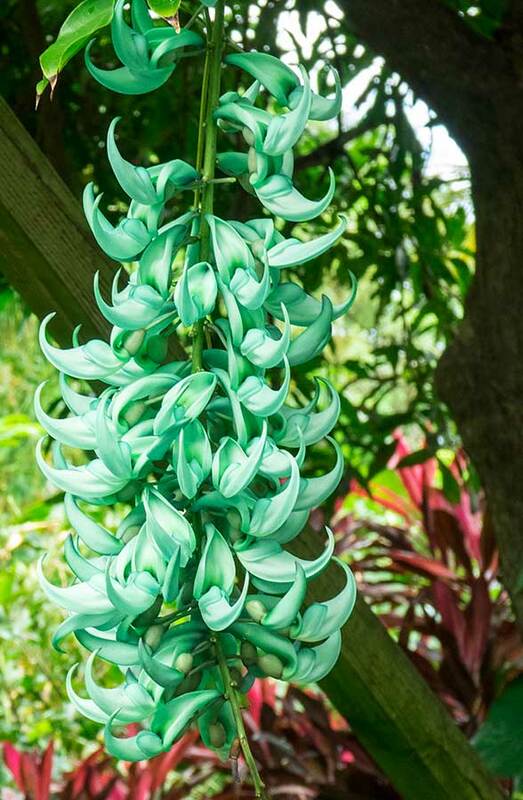 We didn't linger but continued on a circular tour of Grande-Terre, the eastern island. 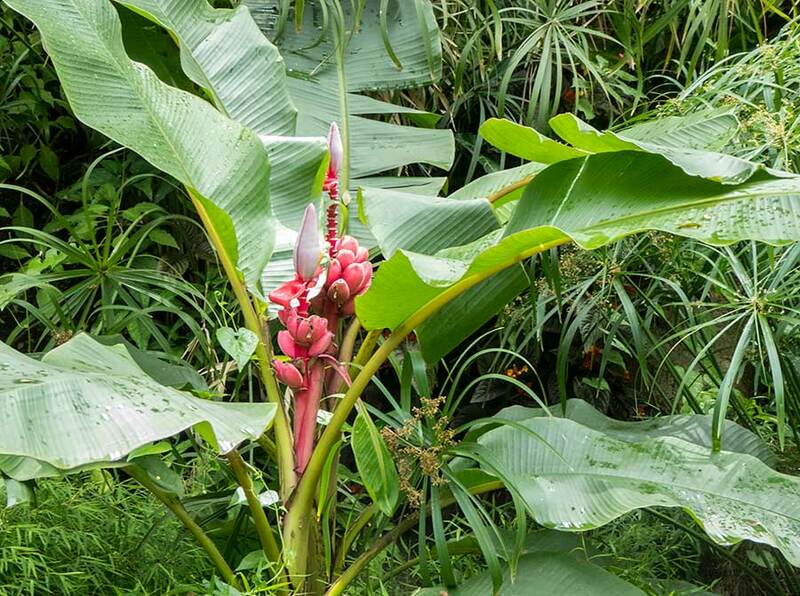 Whereas Basse-Terre is predominantly mountainous Grande-Terre is mostly low-lying and cultivated, including a lot of sugar cane production. After driving most of the day we were glad to get back to Lynn Rival for an early night. Since arriving in Deshaies the winds had been light and we had been drifting around our anchor, partly dependent on the tide. Shortly after going to bed we sensed something was wrong and looked up to see that we were very close to Nautilus. We couldn't work out what was happening so turned on our motor in order to back off. We found that our chain had caught on the bottom and was lying under them! Fortunately it released and we were soon swinging again at a safe distance. The chain must have got caught on a rock, preventing us from swinging freely when the wind or tide changed. 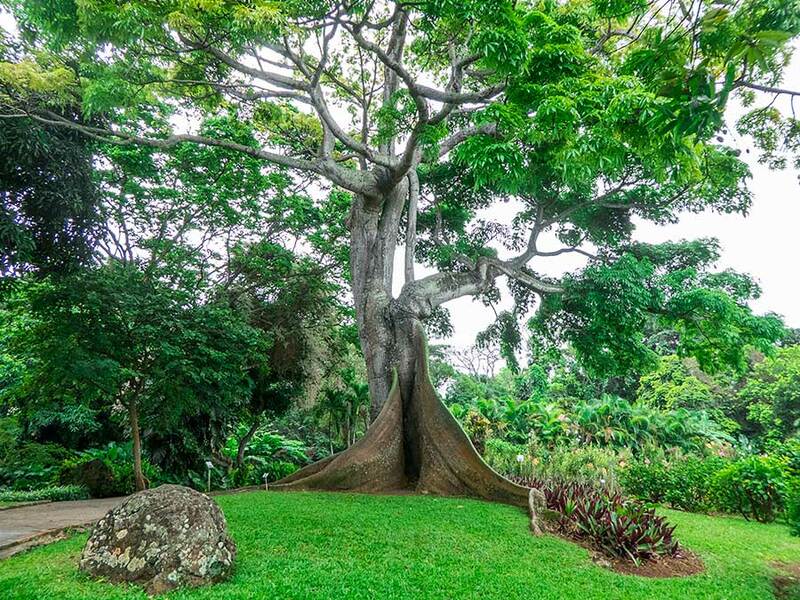 We enjoyed our brief tour of Guadeloupe but didn't feel the need to see more, other than to visit the Botanical Gardens, which are just a short distance from Deshaies. 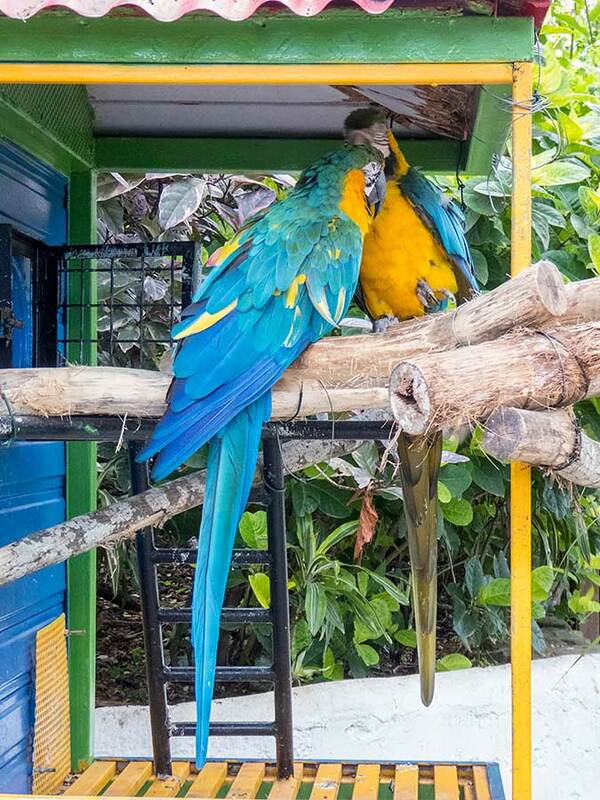 They are beautifully laid out and well tended, with extensive information and also various species of parrots in aviaries.